El mejor español fue José Fumero / DONITA (15º) con 1 punto de exceso de tiempo, ente 39 participantes, 21 sin falta, 10 sin ninguna penalidad en el desempate, 7.500€ el ganador, diseño de la española Elena Boix. Laura Renwick (GBR) on the 11-year-old gelding Dublin V (Vigaro x Calvados) took the runner-up position with a time of 39,42 seconds, while Greg Patrick Broderick (IRL) and the 10-year-old mare Dabelle (Nabab de Revelle x Chin Chin) ended up third. Antonio Matos Almeida (POR), who had a very succesful week at the Spring MET IV, took the fourth spot with the 10-year-old gelding Volver de la Vigne (Diamant de Semilly x Cumano), and the fifth spot went to Victoria Gulliksen (NOR) on the 10-year-old gelding Papa Roach (Perigueux x Zeus). The 1.40m Bronze Tour Final presented by Oliva Nova Beach & Golf Resort went to Miriam Garcia Amando (ESP) on Classique Z (Casco x Unique II Drum vh Juxschott) with a clear round in 88,38 seconds. Shannon Meinert Ketterle (DEN) and Edekas’s La Vue (Ludwig Von Bayern x Acord II) took the runner-up position, while Marta Fernandez Andrade (ESP) and Centennial Paardesm Z (Cadence Van’T Gelutt Z x Light Feet v/d Gelutt Z) placed third. Natalie Donski (SUI) on Chacco Bella (Chacco Blue x Balou du Rouet) placed fourth and Wyndham St. John (CAN) on Erasure SR (Cardento x G.Ramiro Z) took the fifth spot. Saturday’s Silver Tour 1.40m Grand Prix presented by Melisa Internationales Reitzentrum GmbH went to Ireland’s Greg Patrick Broderick on the 12-year-old gelding Babel (Billy du Lys x High Flyer). 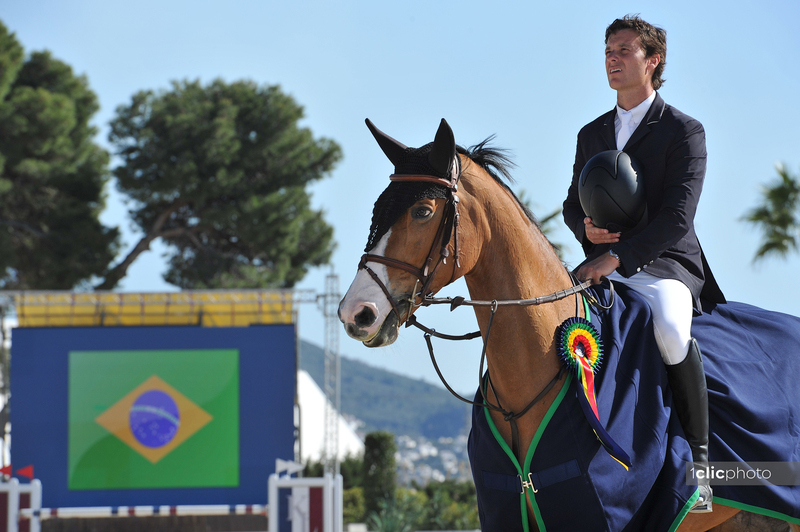 Pedro Junqueira Muylaert (BRA) on Cellagon Corray (Caretino 2 x Corrado I) placed second, followed by his compatriot Pedro Veniss (BRA) on Alienor de B’Neville in third. 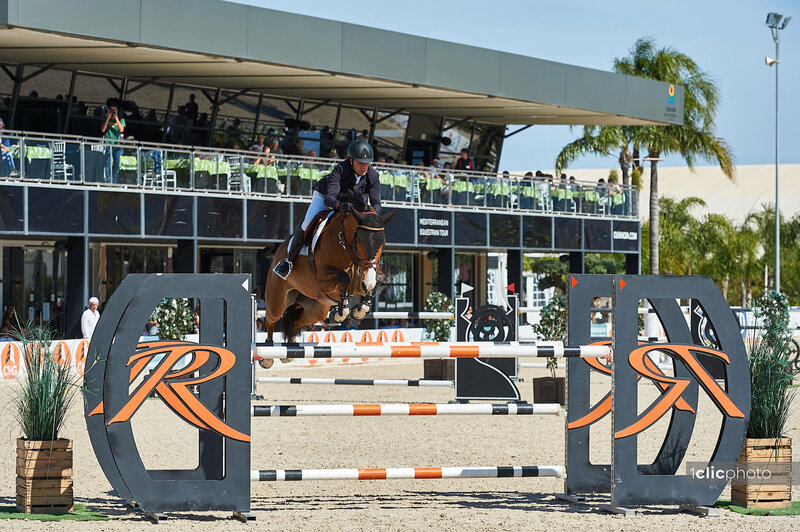 Antonio Matos Almeida (POR) on Coral NZ (Carthano I Z x Espri) took the fourth place and the fifth spot went to Elian Baumann (SUI) on Chrystal Blue (Chacco Blue). The fourth edition of this year’s Spring MET continues next week with its second and final week. MET then takes a break over the summer before resuming again with the Autumn MET 2019 in the beginning of October. Click here for full results.